Designed for psychotherapists and counsellors in training, An Introduction to the Therapeutic Frame clarifies the concept of the frame - the way of working set out in the first meeting between therapist and client. This Classic Edition of the book includes a brand new introduction by the author. 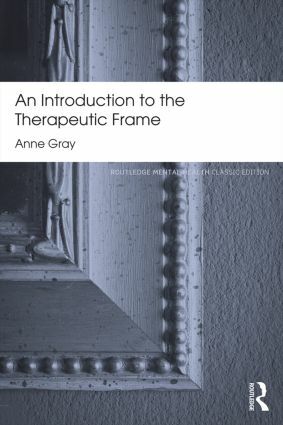 Anne Gray, an experienced psychotherapist and teacher, uses lively and extensive case material to show how the frame can both contain feelings and further understanding within the therapeutic relationship. She takes the reader through each stage of therapeutic work, from the first meeting to the final contact, and looks at those aspects of management that beginners often find difficult, such as fee payment, letters and telephone calls, supervision and evaluation. Her practical advice on how to handle these situations will be invaluable to trainees as well as to those involved in their training.